Recently there has been a significant amount of negative information about Ethereum, the second cryptovalent project in terms of capitalization. Most likely, this information and the general condition of the market have led to a significant fall in the price of one Ethera. At the time of writing the article we can experience more than 80% discount compared to the highest recorded price this year. But such a significant descent does not mean that, as many people say, Ethereum is over and will never get up again. In this article I will give 8 reasons why I think Ether did not say the last word yet. One of the most important factors proving the progressive adoption of Ethereum is the increasing number of programmers. The proof can be a huge number of downloads of the main Ethereum framework – Truffle, which in the middle of this year amounted to more than 550 thousand times. In addition, this number increases on average by 45,000 each month. This shows the power of the platform and significantly increases the bar that new projects would have to overcome. In the first quarter of 2019 we can expect to update Ethereum to version 2.0, so called Shasper. This is a combination of the words Sharding + Casper, and it means nothing else but increasing the scalability of the protocol and moving from POW to POS. This will be a breakthrough for ETH, as all kinds of decentralized applications will eventually be able to run at the appropriate speed without fear of network congestion, as was the case with CryptoKitties. Despite the fact that the date of release of the update has been postponed several times, this time the main developers assure that only minor errors are to be solved and tested again. We can only hope that there will be no more problems along the way. Smoothly moving from the previous point, it should be emphasized once again that the eternal problem of scalability will soon be solved. Several large companies are dynamically working on new solutions. It is worth mentioning the Raiden Network, the equivalent of the Lightning Network known from Bitcoin. Another idea is Plasma Cash introduced by Loom Network, which will use the capabilities of side chains. No other cryptographer can boast of such a large number of full nodes as Ethereum, so it still falls to her to be called the most decentralized blockchain in the world. This is not insignificant, because in combination with increased scalability we will get exactly what everyone is waiting for – a decentralized platform, impossible to switch off, able to handle the traffic of any application. Decentralisation should be the main feature of the blockchain that we should strive for, because otherwise we could simply use AWS servers from Amazon. More and more new portfolios adapted to new users of cryptovalutes are appearing on the market. This allows you to overcome the entry barrier faced by a large group of people who are unable to understand what public, private, seed or other cryptographic security measures are all about. 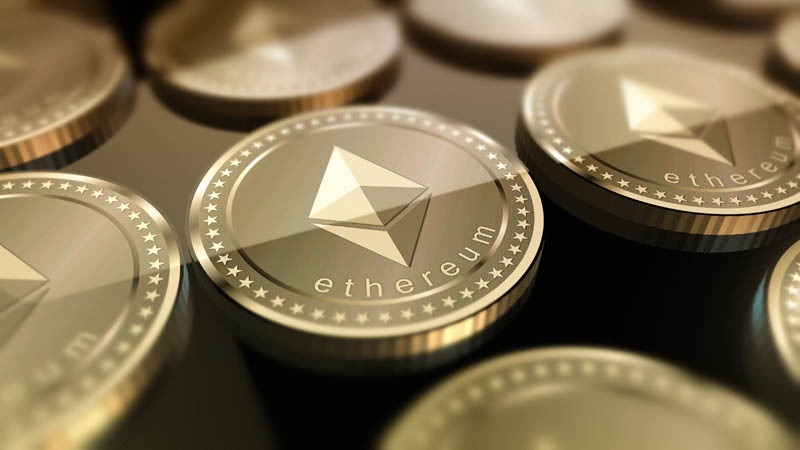 Thanks to this, we can count on an increasing number of ETH users precisely because of the ease of use, which in the case of not every cryptocurrency is so obvious. Another reason for this is the fact that Ethereum is completely running on the platform, decentralized applications. Once again, someone could recall the history of CryptoKitties, which clogged the network so much that it could not be used efficiently. These times are already behind us, because thanks to the side chains of blocks on which we can set any consensus system, games such as Zombie Battleground will experience practically no delay in operation. Someone else could bring up the ethereum specific games on sites like the Bitcasino. An interesting fact is that users will not even notice that the game works on blockchain and will not need to log in using their ETH wallet. One of the arguments against Ethereum is the need to learn a completely new programming language (Solidity) in order to be able to start writing an application or smart-contracts. It is also true, however, that statistics show that more and more schools teaching programming specifically for this platform are emerging on the market. One of the most popular schools – CryptoZombies – was used by over 300,000 people in less than a year. In addition, a book by the well-known author Andreas Antonopoulos ‘Mastering Ethereum’ will soon appear on the market, which can already be seen on GitHub. Other Solidity language schools include Cryptoeconomics.study, Chainshot Ethernaut, for example. And as the last point but one of the most important – the number of people involved in creating applications, in using them or simply in using ETH is growing day by day and nothing seems to indicate that this trend is going to turn around. Every now and then we hear about new conferences devoted to Ethereum and time records in which tickets were sold out. Examples include the recent ETH San Francisco conference and the current Ethereum Foundation, Devcon. I hope that at least some of the readers have convinced me not to turn away from Ethereum and to look at the current situation from a broader perspective. As always, I invite you to discuss and express your own opinions in comments. David is currently studying electronic commerce at the University of Gdansk. He loves writing about IT, Cryptocurrencies, Economics and Finances. Coinconnecter Disclaimer: Nothing published by Coinconnecter.com should be considered investment advice. Any investment options published or recomended by Coinconnecter.com should only be invested in after consulting with your investment advisor and only after researching and reviewing the prospectus or financial statements of the company. All investment information,and any Analyst or Professional Trader past or present published performance is not an indicator of future results. All trading and investing involves risk. Coinconnecter considers all Bitcoin, Crypto currency, Mining, and Fintech investing High Risk Be advised that most all of these investment options are decentralized, unregulated, and unconfirmed. Whether it be Bitcoin an ICO,STO, or ITO, Staking/Lending Coins, Mining, or Cloud mining. Only risk capital you are prepared to lose.